You’re in an MA in a house you really want. It’s a prime property, in a lovely area. But where to pitch the price to win the instruction? Say you think it’ll fetch £450,000, so maybe you say £475,000, then watch their faces. They don’t seem ecstatic, so you soften it slightly by adding a range “…to £500,000”. They cross their arms. They’ve had one of the posh corporates in, talking £525,000 and upwards. What do you do? 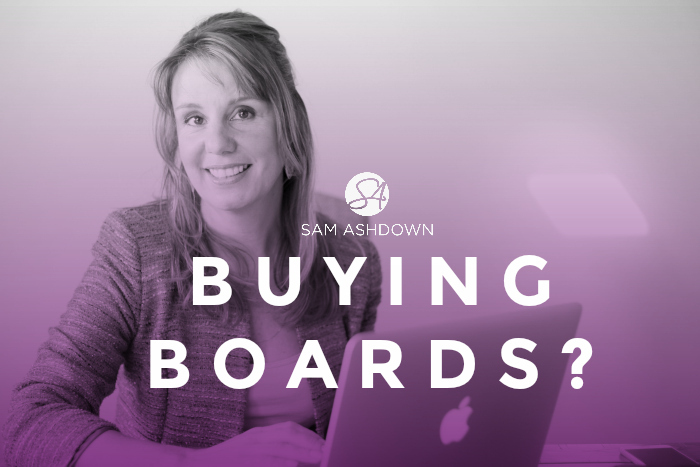 Do you ‘buy the board’? It’s a dilemma as old as estate agency itself. Honesty could lose you the instruction. And you need it. Stock levels are drier than ever. Rightmove may be quoting that they are 20% down but in some areas it’s less than half where it was this time last year. We know that boards breed boards, so a declining register is bad news. However, take it on at £525,000 or even higher, and you risk it being stuck on the market for months. That’s going to make you look bad, and risk the vendor’s disappointment. Even more frustratingly, when your seller decides to drop the price, as they inevitably will, the chances of them giving the benefit of that price reduction to a new agent is high. It’s not right; it’s not fair; but it does happen – way too often. This is a tough challenge. Probably the hardest challenge an independent agent faces on a regular basis. As your professional integrity fights with your basic survival instinct, it’s usually the latter that wins. Taking a property on at a price you have no confidence in is a recipe for disaster. Your lack of support for the asking price will permeate down through the ranks, no matter how careful you are to hide it. A raised eyebrow here, a roll of the eyes there, and everyone from your junior admin to your senior sales neg will know. The viewing rep’s job will be compromised, as they dodge the price objections in each viewing. There’s no easy answer here. I know you were hoping for one. But I do have a strategy I’ll share with you that has helped some of my clients in the same situation. The problem has its roots in the ‘test the market’ approach, with no ‘Plan B’ in place for if the market says no. My suggestion to you, is that you create a Plan B and write it into the Agreement. It would say something like this: If after 8 weeks of marketing there has been no satisfactory offer forthcoming, the vendors agree to reduce the asking price to £500,000 for a further period of 8 weeks. If, after this second marketing period, no satisfactory offer has been submitted, the asking price will then reduce further, to £475,000, where it will remain for the duration of the marketing period. This strategy has two main advantages: 1. it gives you agreement in advance to reduce the asking price, so you don’t have to have an awkward conversation when no interest materialises; and 2. it ensures that your marketing always has some traction, rather than just letting the property languish on your books for months on end, knowing you’re only ever a phone call away from losing it to your competitor. And when they get the price decrease and sell it, how will you feel then? It’s not a perfect solution to this problem, because it does still necessitate a difficult discussion in the market appraisal, right when you only want to be talking positives. Yes, it’s a risk, but much less of one, in my opinion, than taking on a property at a price you know you probably can’t get, and a client you know you may well disappoint. In this new fast world of social referrals, you need to protect your reputation as an independent agent who really does sell houses, and not just list them. If you’d like to have a chat with me about how you can use your independent status to work for you, not against you, then tell me a bit about your business here, and we’ll arrange a free call. Looking forward to talking to you about your fabulous independence!